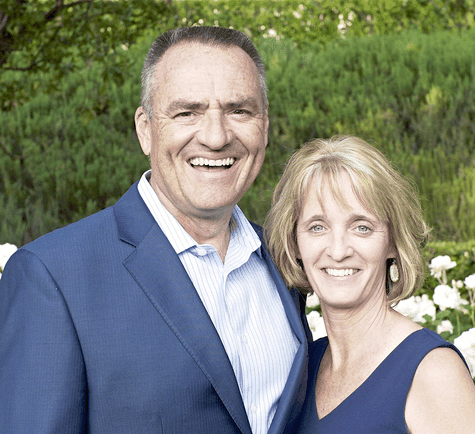 Brian and Nole Klaubert are the owners of Christian Brothers Automotive franchises in Alpharetta, Suwanee, and Dacula, GA. They are among Franchise Business Review's 2018 Rockstar Franchisees! What advice do you have for someone considering investing in a franchise? Having been a franchisee for 16 years, and having watched many other franchisees in our own franchise system throughout that time, I have to remark on the huge difference in stress levels, success and growth, and enjoyment of life between franchisees who work with their spouse versus those who go it alone. Spouses are frequently a mirror image of one another - weak where the other is strong and vice versa. My wife and I have been partners in our franchise since day one. In different seasons we each support the other. You both don't need subject matter expertise in the franchise field. Running your own small business requires experience in all aspects of life and business, and a married couple has that covered. Buying a franchise and running a small business is a full contact sport. The best way to get hurt is to go into it half hearted. You have to be fully committed and fully involved. No one else is going to be more committed than they see in you. What are you most proud of when it comes to your career in franchising? The way in which we have made many other people's lives a little bit better. We're not perfect, and don't run a perfect business. I don't think that there is a perfect job, but we provide a pretty darn good one. We're proud of providing a better work environment than is typical in our industry, or helping a customer who couldn't fix their car otherwise, or helping a fellow franchisee to improve their processes and results. When asked once what is our "Red Hot Why?" (why do we do what we do) - our answer is "providing a good environment, for good people, to do good work for others." Secondly, we're proud of having been able to be there for our kids as they went through school and college (not being consumed in our business), to provide a high quality education for them, and to provide a great life style for our family. The harder times we went through in the earlier years were a great example for our children, and we're very proud of the adults that they are becoming. Owning a small business in the growth stage can be a great incubator for children; or a owning a struggling business can be hard on the whole family. What was your career path before you entered franchising? Brian was a Mechanical Engineer and Process designer for a consumer products company. He is a licensed professional engineer and has five patents on machinery and processes for the production of toilet paper. Nola was a CPA and staff accountant to both large corporations and small businesses. We were professionals following a typical professional career path. Brian worked for a Fortune 150 consumer products company for 19 years, and Nola worked in nearby companies as we transferred from state to state with Brian's career path. As a business owner, what has been the biggest challenge you've had to overcome? I think that owning your own business opens you up to your own weaknesses. For some that could be keeping their nose to the grindstone, versus playing golf. For others it could be letting go of the minutia, letting your employees excute the business according to your guidelines, and getting out to have a life with your family. For some it could be leading a team, versus hiding behind a closed door. For me it was feeling like you are always "on stage" in your community. You do business where you live and where your kids go to school. The actions of every single one of your employees impacts directly upon your image in the community. Trying to achieve sustainable profit margins while anyone who knew you was looking for a "deal". Coming out of large corporations, where your reputation was driven by successful brands and the profession you were in, versus being a small business owner where every single transaction was important to both your finances and your neighborhood relationships. I've seen that owning a small business is definitely not for everyone. You have to be willing to face your fears, and be willing to change to overcome them. But if you can grow with your business, the rewards are outstanding. What do you like most about your franchise organization? Our Franchisor organization is amazing. 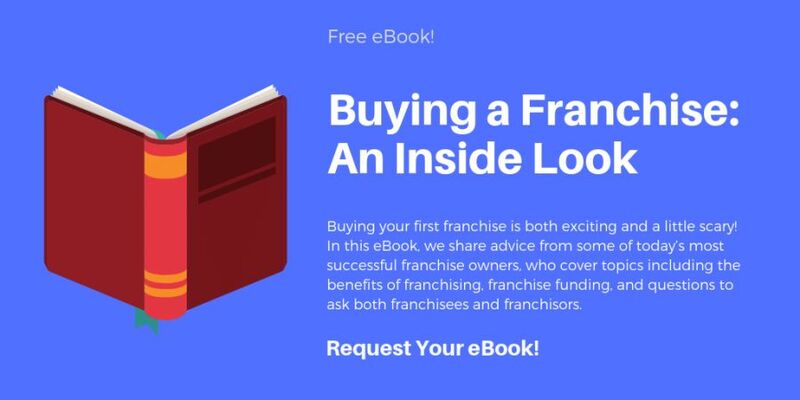 Almost every person and every function is geared toward making each franchisee more successful. We have technical support, business support, and personal support. Of course we have some folks whose role is to keep checks in balance, but even they are helpful. Our franchisee network is equally amazing. If you have a question, there are always several people who have succeeded in that area and are open to giving you insight and guidance. You can visit any other location, send employees to other locations, and there is an open door environment. Success is available to anyone - you just have to be able to grow into it. Another way to look at it is the Franchisor has a proven recipe that produces satisfied customers and financial success. You have to be willing to follow the recipe, focus on satisfying your customer, and be confident enough to charge what it deserves.